I love to visit Death Valley as well as photograph in the park. There are numerous iconic images of park features that present challenges even to the best photographers. In this image, taken as you approach the west entrance, the clouds, mountains, and the desert were dramatically lit by an afternoon sun. 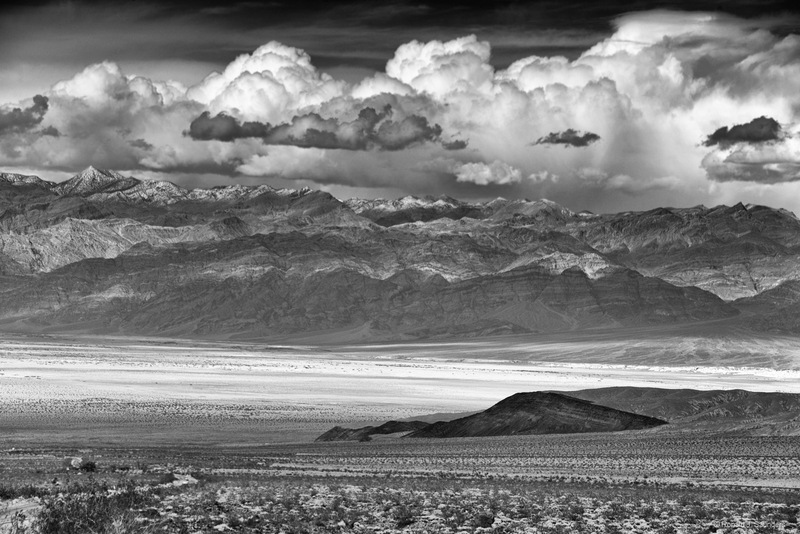 The Amargosa Mountains are snowcapped under layers of billowing clouds. This image was selected for display at the Maryland Federation of Art’s 2014 Art on Paper exhibition. Photo © copyright by Ronald J. Saunders.